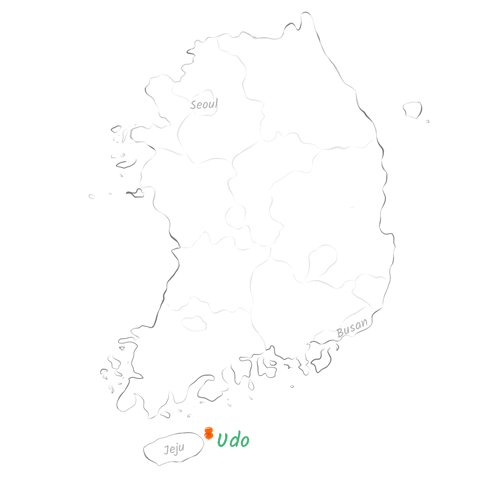 As one of the most visited spots in Jeju, Udo Island is a must-see if you’ve got a day or two to spare. The tiny island, set just off the east coast, has some beautiful natural attractions and a relaxed atmosphere. 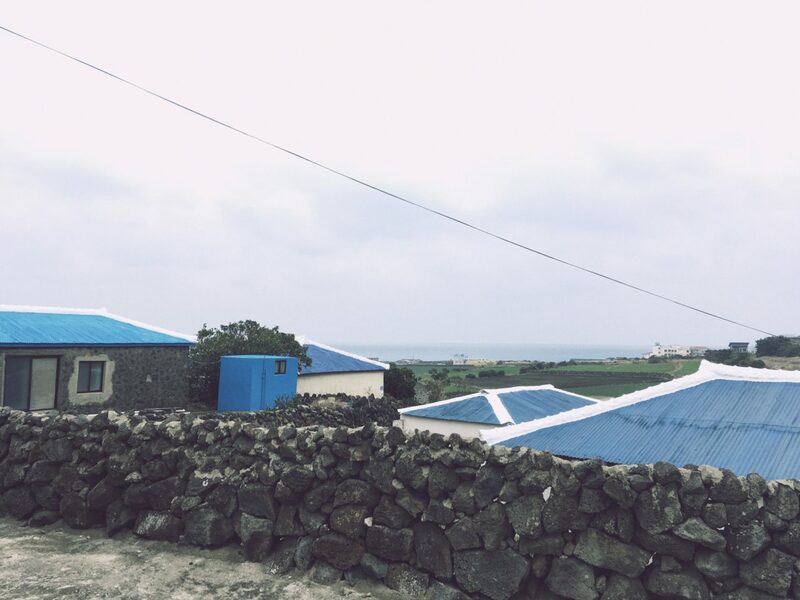 It’s almost like a mini version of Jeju Island – a getaway within a getaway. 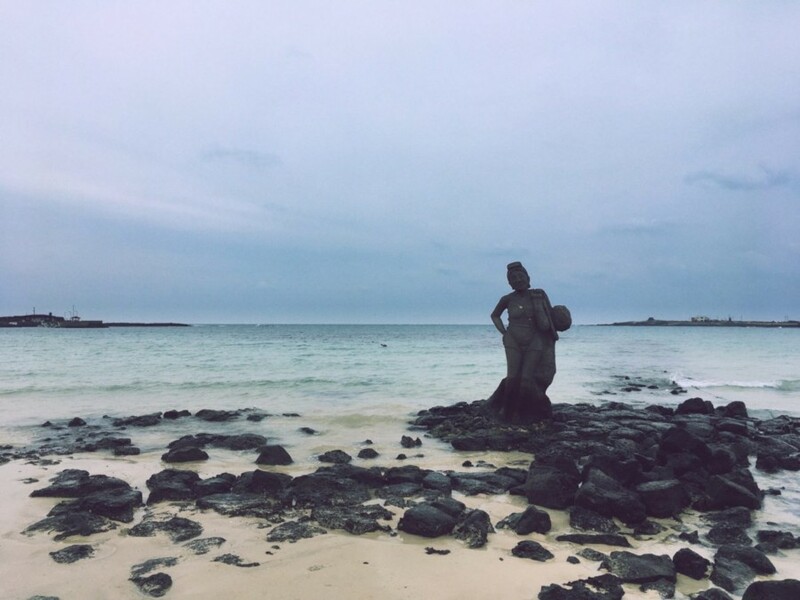 If you’re starting from Jeju City, you can catch a bus from the airport to Seongsan Port. From here the ferry takes about 10 minutes to get to Udo. 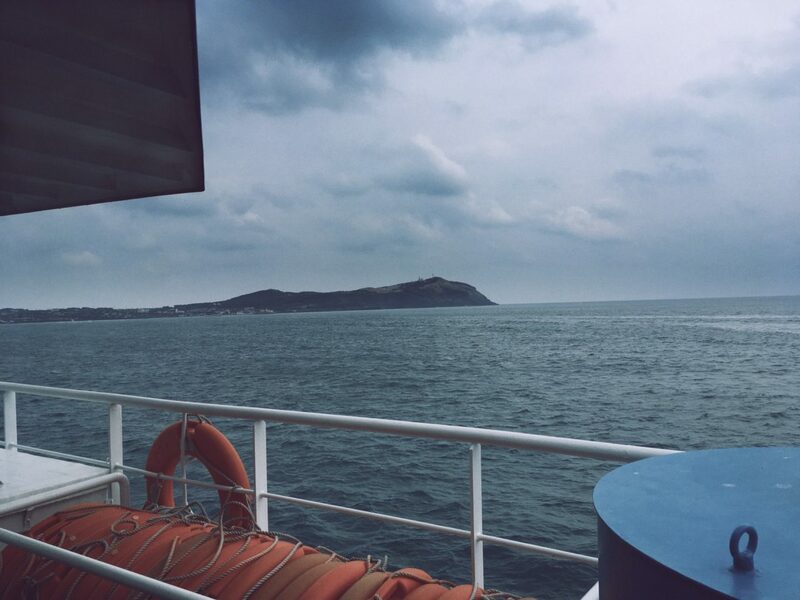 A return ticket is about ₩8,500 (≈£5.70) – and don’t forget to bring your passport to register before getting on the ferry. Once landed at Udo, you’ll need to get yourself some form of transport if you want to get around the whole island. As you get off the boat there are a lot of hire shops to choose from offering bikes and scooters. If you’re just here for the day, about 3-4 hours is ample time to make it around the island at a leisurely pace, while stopping to take in the sights and refuel with some food and coffee. If the weather’s good a bicycle is all you need, there aren’t many hills if you stick to the coastal roads. On this particular trip, we arrived around lunch time so decided to find some food. We stopped at Haha Hoho cafe, just a short while from the port, to satiate our hunger. This restaurant serves huge homemade burgers with a variety of toppings. I went for the one with peanut sauce (grown locally in Udo) which was quite a messy affair, but nonetheless delicious. Hagosudong Beach on the east side of Udo is a beautiful spot for a break mid-wayaround the island. 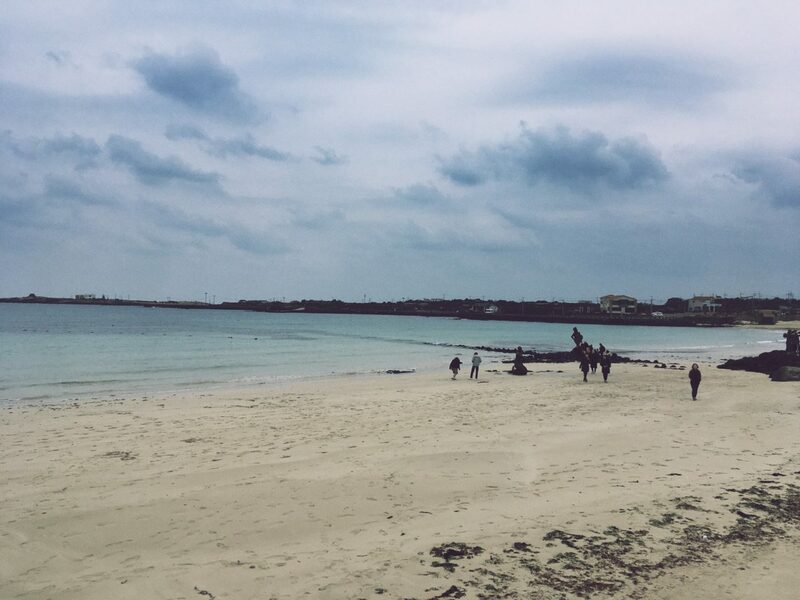 You can grab a coffee from one of the many cafes and a stroll on the beach. It was forecast to rain on the day that we went, but thankfully the rain held off so we could enjoy the clear, emerald sea. The weather held out, but not for long enough. The skies soon opened up so we made a dash back to the port, cutting through the countryside rather than sticking to the coastal route. Even in the bad weather it was quite beautiful. Udo is perfect for a day trip or a weekend getaway. There are many guesthouses and pensions to choose from. If you’re going just for the day, check the weather in advance so you can fully enjoy the beauty this small island has to offer.